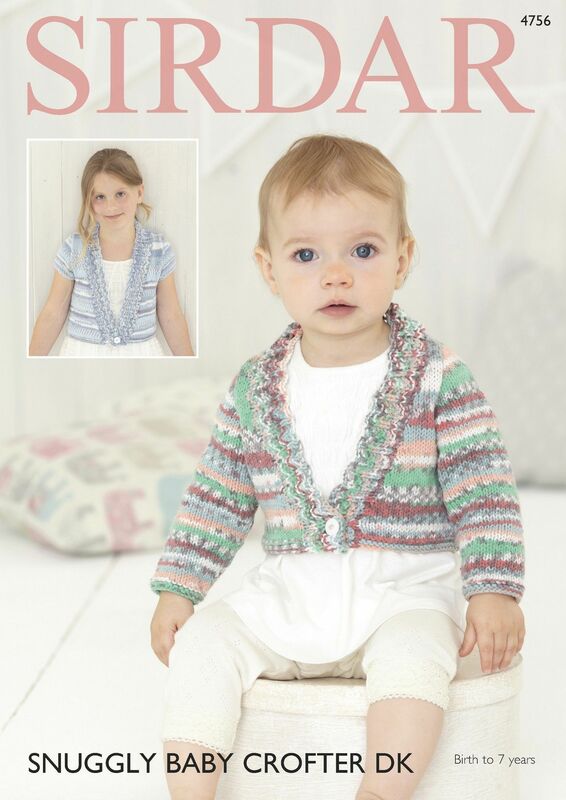 Two variations on this pretty Cardigan knitted in Snuggly Baby Crofter DK. Suitable for all Snuggly DK yarns. Originally knitted in Nessie (197), which has been discontinued, please select an alternative.